How has your career changed since joining Rush: My journey with Rush has been incredible, I started 11 years ago starting off as an assistant at the Rush Centrale salon, then once I received my NVQ Level 2 with Rush I then qualified as a Stylist and have worked my way up the levels step by step over the years. I now work in the Rush Academy specialising in cutting working with Andy Heasman and work 1 day a week at Rush Covent Garden. I love working in the salon, there’s not a better feeling or buzz creating beautiful hair for my clients. What has been your greatest achievement at Rush: It’s hard to pick one, It was a very proud moment for me when I joined the Rush Artistic Team. Being part of that team has allowed me to teach ambitious hair stylists which I love, I’ve always wanted to become an educator. 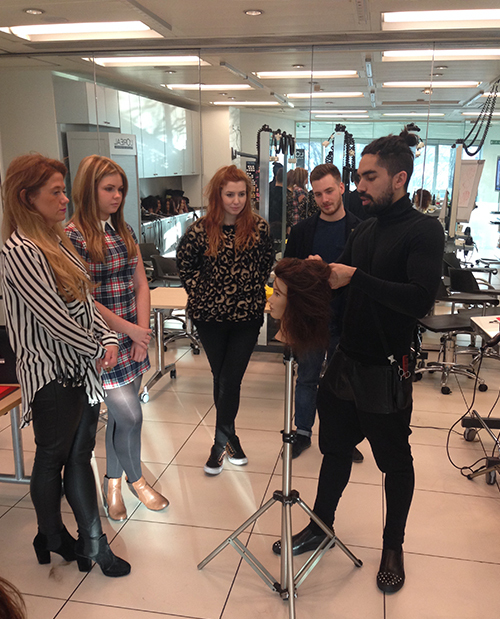 Rush believes in the importance of education and career progression and encourages all employees to reach their full potential in their hairdressing career. Opportunities for stylists are available to progress in the Workshop or Art Team, or to be an educator or even a Rush franchisee. With Rush Hair rapidly growing and opening salons up and down the country their number of employees are expanding too.